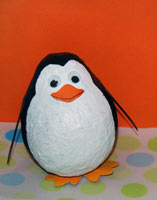 Create paper mache creatures of your very own mid-winter break ART PARTY with Deirdre Cassidy. No school for the kids today, but they can make art! $35 at the Confluence Gallery & Art Center. 509.997.2787.